That is what my grandson said it when he turned 9 and started playing kid pitch. No more coaches on the field. The pitcher is now trying to get you out. I know at younger ages many parents kept score, but now there is an official scorekeeper. And baseball drills for 9 and 10 year olds are more advanced and you can do things beside hit off the tee or run the bases. Pre-planning practices is now a must. You also need to carefully pick your assistants. They need to be reliable and somewhat knowledgeable about baseball. Baseball drills for 9 and 10 year olds are more than just waving your arms on the base paths. You need some coaches who know the proper way to throw a baseball or swing a bat. There understanding doesn’t have to be in great detail, just the basic techniques. Life will be so much better if you can run more than one station at practice. Lining up 10 or 11 kids at shortstop and hitting them ground balls is boring. You will lose your players interest fast and then bigger problems arise. Try to keep everyone just one or two rotations from being active. If you pre-plan the practice it is not hard. One coach you need for sure is someone to work with your pitchers. None of your players will have more than a year or two of experience in pitching, and most probably none. Be sure and read the article Baseball Pitching Instructions. There are a lot of tips in that article for beginning pitchers. All your pitchers should throw at least once a week. You see, baseball drills for 9 and 10 year olds is getting more detailed. At nine or ten years old many kids are not ready to be pitchers. But it is in your best interest and the team’s best interest to try everyone out at pitching. A player or two might just surprise you. There is an old saying that you can never have enough pitching, and that it true even at nine and ten years old. 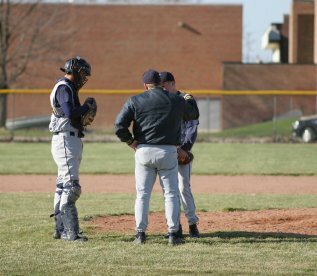 Please read this article, The Baseball Pitching Life for some helpful tips. 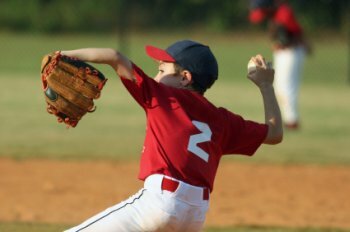 The article is written for baseball coaches and parents of kids who pitch. Baseball drills for nine and ten year olds should include a lot of throwing drills. Throwing and catching the baseball is something that takes many years to master. Now is the age to have the players practice these skills as much as possible. In the article, Infield Throwing there are some fun baseball drills to practice throwing. For 9 and 10 years olds throwing accurately is not automatic. Later on, after they have made thousands of throws it becomes automatic. But at this age they need to concentrate on their throwing. Also include in your baseball drills for 9 and 10 year olds plenty of batting time. Once kid pitch starts batters needs to be able to swing properly without thinking about it. They are going to have to concentrate on the pitch. So there is no time to think about keeping their hands up or striding towards the baseball. Those things have to start coming naturally. And the best way for that to happen is with lots of practice using the proper techniques. 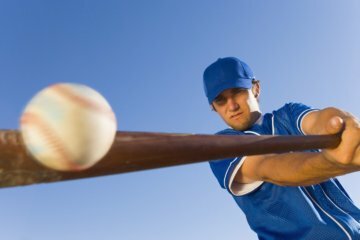 This article, Batting Techniques has some detailed hitting instructions. One drill many coaches, both little league and high school, will not do is have kids pitch to kids during practice. Boys are so competitive and the fear is pitching to each other will cause some friction. I do understand their concern, but I believe everyone can benefit from this baseball drill. To keep the pitchers from over throwing, tell them to only throw about 95 percent. And make sure they are not throwing any breaking pitches. Unless you keep an eye on them, 9 and 10 year olds will experiment with curve balls. And they are way too young to be throwing them. Last but not least of our baseball drills for 9 and 10 year olds is fielding. Fielding ground ball cleanly and making accurate throws to first base is about all you can hope for. That whole sequence takes a lot of different skills. The proper foot work, bending over to field the baseball and then good throwing techniques. Lots of room for error in that play. And if all that happens, the first baseman has to make the catch. The other tough task for 9 and 10 year olds is catching fly balls. For safety reasons I would suggest using a tee ball (any ball softer than a baseball). Fear of the baseball is in the minds of most players at 9 and 10. Anything you can do to help eliminate that fear will be helpful. After your first or second practice of the season jolt down on paper how the team looks and how practices are going. Be sure and write down some details, like few of the players can make the throw from third to first, or all of our pitchers can’t find home plate. Put that sheet away until after the season is over. Give it to your wife or husband to hold all to. Then, after the season is over revisit that sheet of paper. I’m willing to bet that there has been a major amount of improvement. Baseball drills for 9 and 10 year olds help make these the most improved years. Be a helpful coach to your players and have well planned practices. Your reward for this hard work will be seeing the improvement in each and every player. One last comment, keep it fun. Winning is great, but at 9 and 10 years old development is more important. No one ever makes their high school baseball team at 10 years old. So work hard and have some fun.